At Joseph Toyota of Cincinnati, we are deeply committed to delivering you a dealership experience that is Easy, True, and Clear. If you are looking for a fun sports car without all the frills and the accompanying high price tag, look no further than the 2019 Toyota 86. It is well known around the world for its ability on race tracks, though, it hasn’t made much of a splash in the North American market just yet, but that very well may be about to change. First things first, the name of this car is the “Eight-Six”, not “Eighty-Six”. You wouldn’t want to say the wrong thing in front of a car enthusiast that knows and enjoys this vehicle. It was developed jointly between Toyota and Subaru in 2011 and marketed by Subaru as the BRZ. Over the years, the 86/BRZ has won numerous awards all over the world, from North America to Asia and Australia. Most of these awards have been in the realm of sports cars, but the 86 is universally considered to be a fun car to drive. For the 2019 model year the 2019 Toyota 86 comes in three different trim levels: the base level, GT and a brand new TRD Special Edition. Below, we will take a look at each trim level and what it has to offer. If you decide that the 2019 Toyota 86 is your next sports car, we invite you to come down to Joseph Toyota and get a good look at the 2019 Toyota 86 and its trim levels and see which one is best for you. The base trim line for the 2019 Toyota 86 is just known as the 86. It starts out at $26,455 and comes with a 2.0 liter H-4 engine, the same engine Subaru designed and gave to the BRZ. It is paired with a six-speed manual transmission and gets 205 horsepower and 156 lb-ft of torque. There is another engine available on the other trims with almost the exact same horsepower and torque, but this engine comes standard on all three trim levels. It gets 21 miles to the gallon in the city and 28 miles per gallon on the highway. It has quite a few standard features, as well. Even the base model has safety features such as Traction Control, a Rear View Camera and six airbags. As far as infotainment features are concerned, the 2019 Toyota 86 comes with a USB port, Bluetooth connectivity and a Pioneer eight-speaker sound system. It also has Speed Sensitive Volume, which will automatically adjust the volume of the stereo system to accommodate for the sounds of the road. For the relatively low MSRP, the base trim level of the 2019 Toyota 86 comes with quite a few features, but Toyota has much more to offer. The middle trim level of the 2019 Toyota 86 ramps up several of the interior and exterior features. It has the same 2.0 liter engine and all of the features of the base model but adds a few more things such as LED fog lamps to go along with the standard LED headlights. You now get heated outside mirrors, 17” wheels and a 4.2” display for the instrument cluster. The 2019 Toyota GT also adds dual-zone climate control, so that you and your passenger can customize your comfort level in the front seat. It starts at $28,585 MSRP. The highest trim level of the 2019 Toyota 86 is the TRD Special Edition. For those unfamiliar with Toyota, TRD stands for Toyota Racing Development. One look at this car and you can easily see the influence of the racing world on this car. If you are a part of the racing world and looking for a new sports car with which to compete, even on an amateur level, the 2019 Toyota 86 TRD Special Edition is the one to go for. Most of the upgrades that this trim level gets are specific to racing and high performance. These include 18” wheels, and sports performance tires which help grip the road better. That alone lends itself very well to racing, particularly on road courses with quick turns and sharp angles. The 2019 Toyota 86 TRD Special Edition also upgrades to high-performance Brembo brakes. Brembo is world famous for their brakes, particularly in the motorsports world where they outfit IndyCar Series vehicles, as well as Formula One and Supercars autos. Those high-performance and high-quality brakes serve professional drivers and are more than adequate for the 2019 Toyota 86 TRD Special Edition. If you value aerodynamics and weight in a sports car, the 2019 Toyota 86 TRD Special Edition is worth a close look. This trim level adds spoilers to the front, rear and sides. These allow for smoother airflow over and around the Toyota 86 and reduces wind resistance and drag. Any racer will tell you that when you are performing at high speeds, you will be battling the wind as well as other drivers. These spoilers help redirect that air flow and optimize it in the driver’s favor. Even with all of the extra stuff added onto the 2019 Toyota 86 TRD Special Edition, the car is only 2,387 pounds. That is great news for racing enthusiasts, as a lighter car not only moves more quickly, it also responds more quickly to the driver. However, the exterior engineering is not the only racing look the 2019 Toyota 86 TRD Special Edition brings to the table. The only color the TRD Special Edition is available in is black. This trim level also adds a ton of red contrast stitching throughout the interior, as well as red seatbelts. This design scheme really ramps up the look and feel of the racing world. The Toyota 86 has long been popular in the racing world. And with so many ways to customize your own vehicle using paint jobs and aftermarket parts, the Toyota 86 has developed many different looks at car shows and races. Toyota decided to have a little fun of their own and created this trim level and gave the prospective buyer the racing car they were looking for without having to go through aftermarket parts and accessories shops. Here is the unfortunate part, though. The 2019 Toyota 86 TRD Special Edition is only getting a limited run. Only 1,418 of these vehicles will be produced. While it is possible that a second batch of these could be in order, Toyota has made no promises about a reprint, of sorts. If you are interested in this sports car specifically designed and built for motorsports, then you should waste no time in getting down to Joseph Toyota and snagging one of these for yourself. We are really excited at the 2019 Toyota 86. It is an affordable sports car that brings an incredible amount of power and features to a raceway or a highway. It isn’t the most powerful sports car in the world, but that is a good thing. It is easy enough to drive that you don’t have to be a professional racer to operate it, but if you are, even better! For the average sports car enthusiast, the 2019 Toyota 86 is a great vehicle. It has top-notch performance and plenty of features to go along with it. For the more serious sports car fan, the TRD Special Edition is the car you are looking for. It was built for racing, both under the hood and on the exterior. Come down to Joseph Toyota in Cincinnati to get an up close and personal look at the 2019 Toyota 86. Our exceptional sales staff can show you all around this new sports car and give you all the details of each trim level and what they offer. We can explain how the TRD Special Edition gives a whole new level of performance in the racing world first hand. Our finance department can get you set up with an affordable payment plan for your new 2019 Toyota 86. You will want to make sure you have a viable financial future to be able to get your new 86 on the road and, perhaps, into some competitions. Financing a new vehicle is a serious undertaking, and our financial department knows all the tricks of the trade. 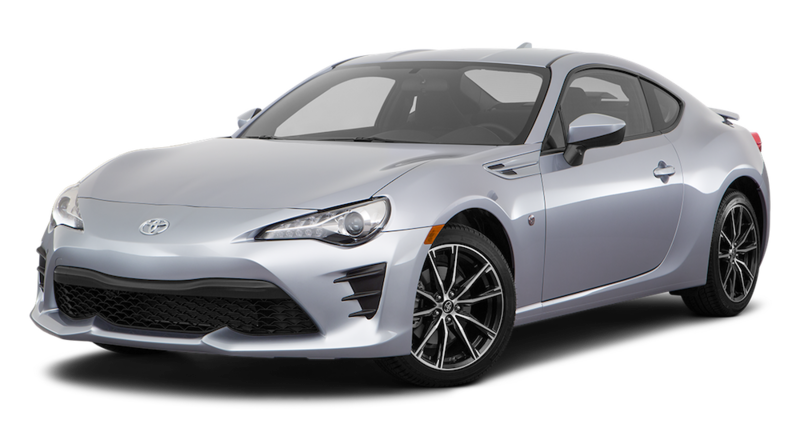 We can discuss all the payment options, buying vs. leasing, rebates, discounts and interest rates that go into financing a new 2019 Toyota 86. Our service department can set you up with a regular maintenance schedule to keep the 86’s engine purring like the high-performance vehicle it was intended to be. After making such an investment, you will want to keep that investment in great shape. That is exactly what our service department can do for you. If you can’t make it down right away, you can check out the 2019 Toyota 86 and all of our other new and pre-owned vehicles at our online showroom. We have pictures and specifications on all of our vehicles, just waiting to be perused by buyers like you. We will see you soon! *Disclaimer: On approved credit, all advertised prices exclude tax, tag, registration and a $283.50 dealer documentation fee. We believe every reasonable effort has been made to ensure the accuracy of the information contained on this website, but we cannot absolutely guarantee against mistakes or errors. 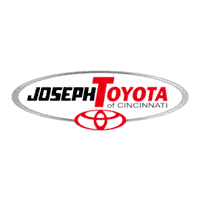 Joseph Toyota of Cincinnati	39.2369765, -84.5933604.